I've shared a few Ankara outfits in my past blog post and Instagram photos, but this is by far my favorite piece. This reversible Ankara pencil skirt, yes I said reversible, was custom made by Laced with Culture, the same brand that is responsible for creating my Wakanda sweatshirt. It features an exposed gold zipper that can be worn to the front or back. This particular design has a blue side and an orange side which can be the base for multiple outfits. 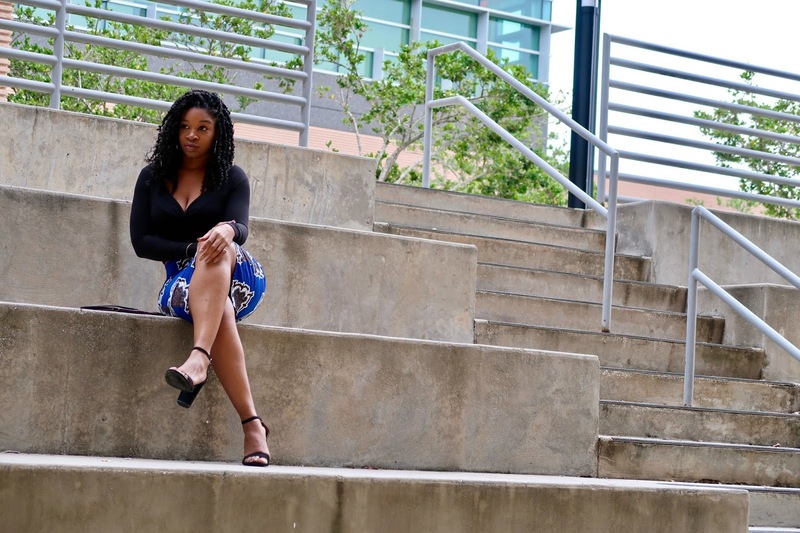 On this day, I decided to wear the skirt with a long sleeve black bodysuit from Forever 21 in an "off the shoulder" fashion. I paired the outfit with Target minimal black heels and a vintage leather clutch. I also enjoy wearing this skirt with graphic tees and sneakers. Do you have a favorite type of pattern? This skirt is gorgeous. I love Ankara, particularly the blue side. Love this chic skirt! The fit is perfect. Leopard is my fave print. Thank you! I'm loving leopard, especially with the recent trends! The prints of these skirts are gorgeous! So unique and stylish staple! I've seen Ankara print a few times and it is so vibrant and full of life. I love how you wear your Ankara skirts. Perfect styling every time. You look absolutely gorgeous in this outfits. Your so right, Ankara is very vibrant. Thank you. Such a beautiful skirt with statement prints. You look wonderful! Thank you, I love the ease of options with this piece. I love ankara print. It fits you perfectly. She did a good job with the custom fit. Thank you! I'm such a sucker for reversible items, yet you just don't see them much!!! This skirt is absolutely gorgeous! Oh how cool, it is reversible, I like both sides! I have never seen a reversible skirt like this, but I love it!! Both colors/patterns are so pretty! 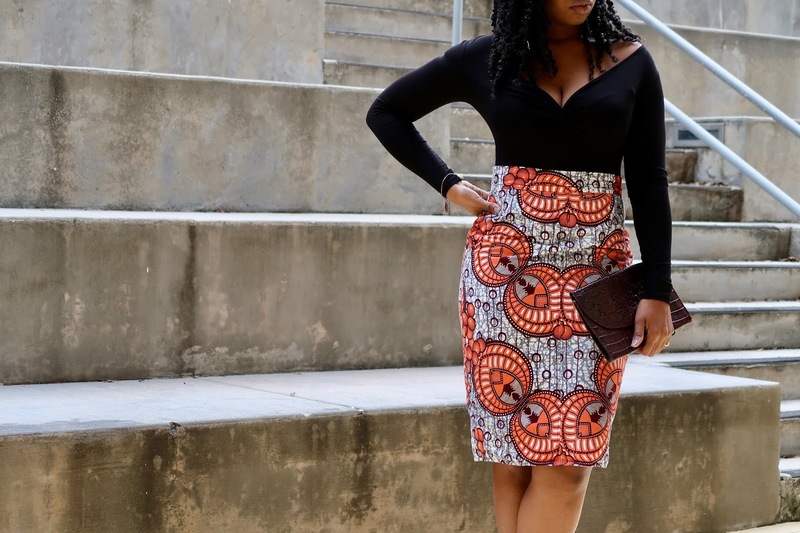 Your ankara skirt is fab! I have a fondness for this print too and have quite the collection of Ankara skirts. The great thing about yours is you get 2 styles for the price of 1 and it's a piece that you can dress up or down with shoes or accessories. Love the skirt. Thanks for share with us. Keep posting.